Do you need a bigger file? The file available on this site is 1024 x 947 px. To obtain an alternate file type or higher resolution copy, please contact the owning institution. 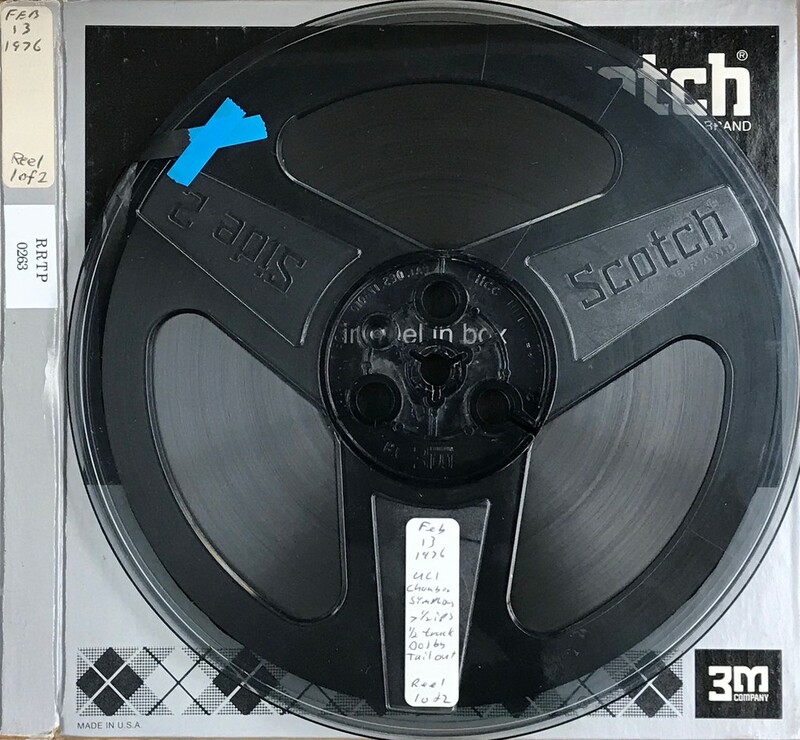 Scope/Content: Audio recording of the UCI Chamber Symphony recorded at the University of California, Irvine Fine Arts Concert Hall on February 13, 1976. Scope/Content: Oeverture (Suite) No. 4 in D Major / Johann Sebastian Bach -- Siegfried Idyll / Richard Wagner -- Symphony No. 5 in B-flat Major / Franz Schubert. Performers: UCI Chamber Symphony ; Alvaro Cassuto, director. Duration: 01:07:52 : 130.3 MB in two parts.